Full citation: Casa Shalom, Journal of the Institute for Marrano and Anusim Studies, Vol. 14, pp. 11-13, Dec. 2013, Netanya Academic College, Israel. 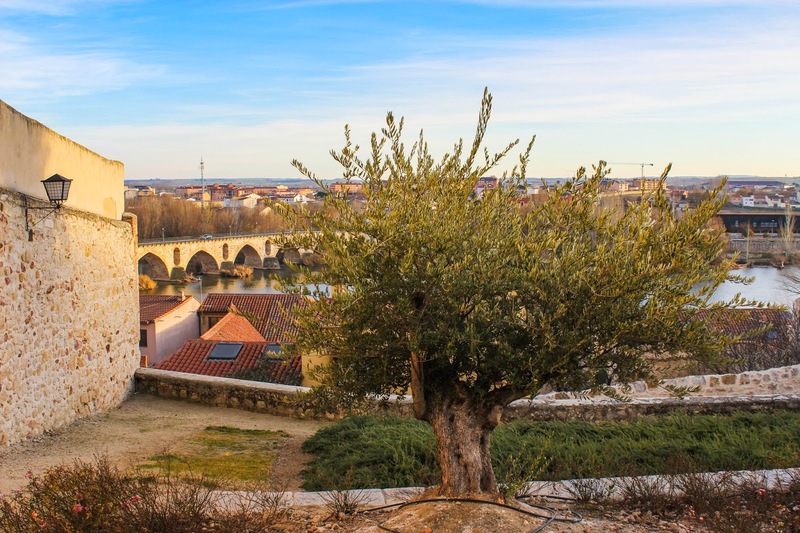 "(Zamora) Fair in situation, the uttermost parts of the North"
Zamora is a mid-size city of around 60,000 inhabitants in the northwestern region of Spain. It is well known for its more than 20 Romanesque churches, its celebration of the Catholic Holy Week and its Modernist buildings. Among food and wine connoisseurs, Zamora is known for its excellent wine and its gourmet cuisine. However, until recently, a visitor arriving on a package tour to its Plaza Mayor would never have considered the city one of the richest in Spain's Jewish history. Last July more than 20 scholars from various disciplines met at the NH Palacio del Duero Hotel, located in one of the two former Jewish Quarters, to present their research on the city’s Sephardic heritage. Among those presenting were Prof. Abraham Gross, (Ben Gurion University), Ruth Behar (University of Michigan-Ann Arbor), Prof. Leandro Rodriguez (University of Geneva), and Virginia Labrador (University of Valladolid). The sessions included the premier of the documentary Zamora Sefardí (2013), a set of interviews with scholars either from Zamora or with family backgrounds connected to the city, who discussed their personal stories and research projects exploring the Jewish history of the region. The event was well attended by local residents and visitors from other Spanish regions such as Galicia, Valencia and Cataluña. Other countries represented were Israel, the United States, Portugal, Cuba, Brazil and Switzerland. Officials from the city of Zamora and the province of the same name welcomed the participants and promised to publish the conference's findings, as well as to signpost the Jewish Quarters in order to raise awareness of local Jewish history, long forgotten. Three organizations also came to the conference: The Sephardi Council of Jerusalem City represented by Abraham Haim, Casa Shalom and the Institute for Marrano and Anusim Studies represented by Gloria Mound, and Tarbut Sefarad, represented by Mario Saban. A conference's highlights was July 5's Shabbat celebration at the Hotel NH Palacio del Duero. It was an ecumenical service attended by 26 people: Jews, Catholics, non-denominational, atheists and unaffiliated persons. 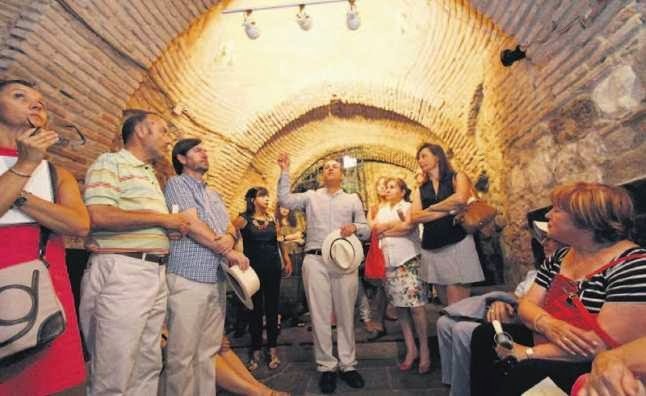 In addition to the traditional Shabbat liturgy religious chants, regional folklore and Judeo- Spanish songs were sung by locals, and even Kosher wine was served, provided by a Zamoran who openly stated his commitment to Jewish practice and study. Earlier in the day, Abraham Haim had read an afternoon prayer at the conference Congress including remembrance of the Jewish martyrs from the time of the inquisition (several of Zamora's residents were prosecuted during the Madrid's 1680 Auto de Fe). The creation of the Center Isaac Campanton dedicated to the preservation of the Jewish heritage of Zamora, and of Castile and Leon. Presently, these three proposals are being considered by the City Council. I have reason to believe that we will be able to achieve the allocation of a space to honor this tradition and promote its study. When I visited the city for the first time, in 2010, I was shocked by the absence of references to anything Jewish in the city. Since I have always been interested in Jewish literature and culture from Spain, and knew of Zamora’s relatively prestigious position during medieval times, I was curious as to why this was the case. I asked a couple of colleagues and friends in the city, including a relative of mine, and some information immediately surfaced, along with various books and articles. I remember a fruitful conversation with local historian Florian Ferrero, then Director of the Provincial Archives, and from that point on I decided to write a paper on the subject. When I returned to the United States I started to research further and realized that I had stumbled upon something more complex and that I wanted to devote more time to delve into it. Additionally, the project was a good reason for me to return to Zamora, the birthplace of my paternal grandparents. On that first trip I also met with Mario Saban, president of Tarbut Sefarad, in Barcelona, as well as the organization’s representatives in Madrid, José Manuel Laureiro and Anun Barriuso, who encouraged me to continue with the project and offered their help. I have to say that these three friends were somewhat skeptical about Zamora having a significant Jewish history. Located at the heart of Old Castile, this is a city known, as I mentioned before, for its strong Catholic culture: Celebrations around saints' days and the Virgin Mary are very common and dominate popular festivities all year long. More importantly, the Romanesque churches drive national and international tourism. So “Good luck with anything Jewish”, I can imagine my friends and local family members thinking back then. But the reality was that some research work had already been done on the Jewish heritage of the city, in particular a book titled El pasado judío de Zamora (The Jewish Past of City of Zamora, 1992) by prof. María Fuencisla García Casar, which included most of the historical documentation. Additional research by Guadalupe Ramos de Castro was included in her book, Juderías de Castilla and León (Jewish Quarters of Castile and Lion, 1988). Finally several articles by Prof. Carlos Carrete Parrondo (University of Salamanca) confirmed 21 Jewish settlements within the geographic limits of the current province of Zamora, including several that had the status of aljama (community) before 1492. An earlier conference in 1981 had been dedicated to the Jewish presence in the city, organized by the Ramos de Castro Foundation. Nevertheless, none of this academic work had had an immediate impact on either the official history of Zamora narrative or on its cultural policies. During my trip in 2010 I did not come across any mention of Jewish heritage, either at the Castilla y León Ethnographic Museum or the Provincial Museum. In spite of several archeological sites being located, according to oral tradition and archeological research, no professional intervention had taken place at the location of the Jewish cemetery, or at the Hostería Real, where a mikveh might still be in existence. And these are only two examples. My research question then was: What could the next steps be? The first conclusion I arrived at was the necessity to assemble all the previous bibliography, for which I created the zamorasefardi.com webpage. Secondly, I asked myself what new information I could bring to the conversation, which I think is divided into two sections: a) highlighting the importance of Isaac Campanton (1360-1463) through his teaching and his disciples before and after 1492, and b) locating and documenting as much material evidence as possible about the Jewish historical and cultural presence in the city. Thirdly, I saw the need to establish a network of individuals that were currently researching or interested in Zamora's Jewish history. Exchanges through this network evolved into the international conference that took place July 3-5, 2013. Finally, I proposed the creation of a center of Jewish studies in the city. I have to say that the first three goals have been fulfilled beyond my expectations and that I am currently working with local authorities and colleagues to advance the fourth, including initiatives to put up signs marking the historically documented Jewish landmarks in Zamora. These last projects have been reported by the local newspaper, La Opinión de Zamora, on August 3 and 7, 2013, as approved by the Municipality, and are ready to be implemented in a short term. The Author at Santa Lucía # 11. Read segment below. Among all this exciting information about the Jewish heritage of the city of Zamora there is one in particular I would like to share because I think that, if confirmed, it could be important for researchers and other people and organizations working on the history of Sefarad (As Jews called Spain in medieval times). 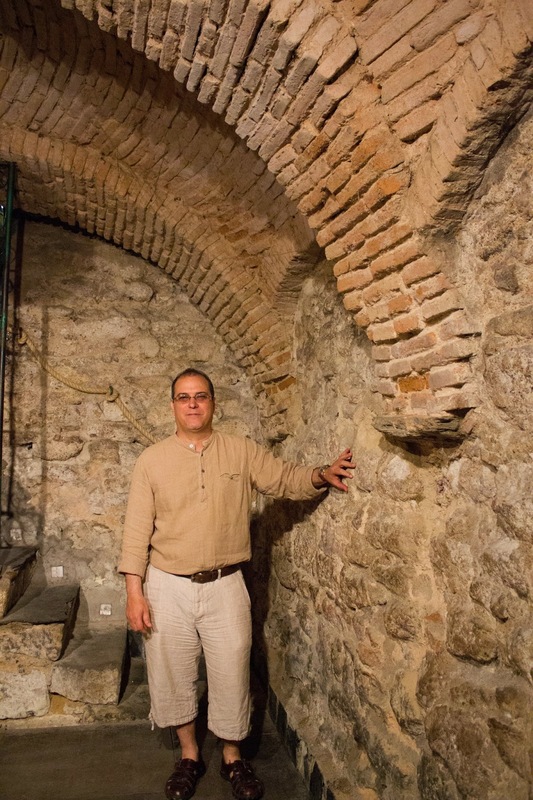 In early June 2013, as part of my ongoing fieldwork, the owner of a bodega (wine cellar) known as “the Arab Cave” located in the old Jewish quarter, invited me to visit the place. Its name was a commercial one chosen in the early 1990s by someone who ran an unsuccessful jazz bar on the premises. He was probably inspired by a 1971 article published in El Correo claiming that the place was one of the King Alfonso III’s famous Roman-style baths built in the mid 800s, but misidentified as belonging to Arabs by an El Correo (local daily) reporter. These baths were referred to in the 19th century by historian Cesáreo Fernández Duro (1830-1908) as likely having been destroyed during the Almanzor invasion in the late 10th century, since they are not mentioned again in the history of the city, not even during the time of King Fernando I’s reconstruction, following years of war with the Muslims of the time. In any case, what caught my attention was that the place enjoys a privileged location at the center of what is broadly known and historically documented as the “old" Jewish quarter. Once inside the site or “bodega”, I noticed that, besides the regular acoustics of the room, there was a particular point where my voice reverberated in a different way; three other people including the present owner also recognized the special sound effect in that particular spot. This caused us to wonder whether the same effect was repeated at other points in the room. We discovered that the same reverberation could be perceived at five other spots, right under the center of the bóvedas (vaulted ceilings), causing voices to sound louder to those standing at these points. I then proposed the hypothesis that this place could be a synagogue, or an early Talmud Torah school, probably both. From my own research I knew that Jews inhabited Zamora at least since1062 c.e., when King Fernando I repopulated the city, inviting, besides Christians and Moors, Jewish workers who established a synagogue in 1094 in the old Jewish quarter. Historical documentation also places the site of the synagogue close to today’s San Leonardo Church, the ruins of which are preserved. Javier Palacio García, whose family owns the bodega, remembers that in the early 1970s an excavation took place on the site and that workers recovered several clay vessels, some of them of medium and large size. He also confirmed that neither he nor his family ever noticed the special acoustic effects I refer to above, although they were aware that there were a different type of acoustics in the room. I immediately got in contact via email with Prof. Higini Arau in Barcelona and he replied, explaining that this type of effects are called acoustic focalizations, and that it is possible to measure them scientifically. He also provided me with contacts at the University of Valladolid in order to conduct scientific research on this site. It is known that from before Greek and Roman times, acoustic architecture was part of the ancient masonry tradition, and that Jews and Moors both used it in their community buildings. The French archeologist Jean Passini has identified a similar style of architecture in Toledo’s Hamanzeit neighborhood, affirming that this particular style is not Islamic, and that it is consistent with other civil and religious construction in Toledo. Passini, however, does not mention any acoustic quality. I propose that the location of this place in Zamora is particularly important because among the early inhabitants of the neighborhood were Jews, and this place is situated in the area of Plaza Santa Lucía and Zapatería (shoemakers' business) Street, one of the most frequently mentioned in the historical documentation as part of the Jewish quarter. Therefore, I have valid reasons to identify this place as a potentially Jewish building. If confirmed, it would be the only one discovered so far with these characteristics on the Iberian Peninsula. This confirmation will add new information to the ongoing research on a mid 15th century Jewish renaissance in Castile right before the expulsion; a renaissance key to the Sephardic expansion across the Mediterranean basin and beyond, including a better understanding of the Bnein Anussim in Central and northern Spain and northeast Portugal. Medieval Jewish Quarter in Toro. 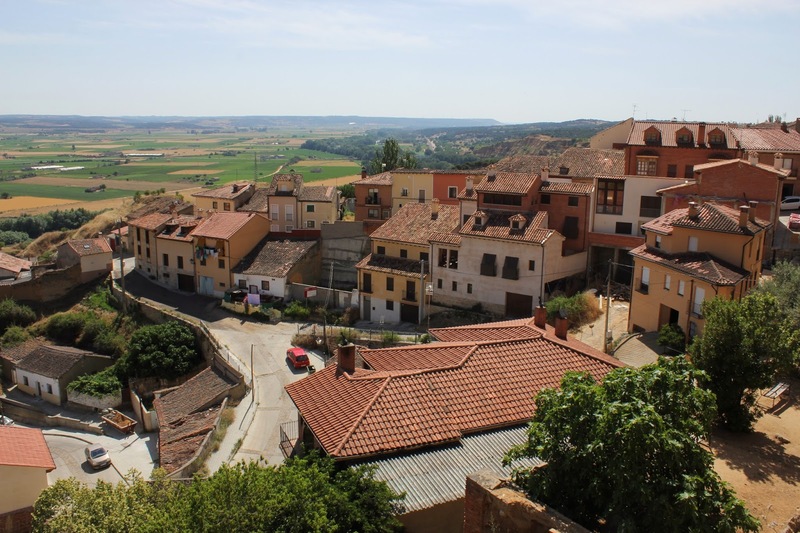 According to historical records, after Zamora, Toro is the city with most references to its Jewish past.